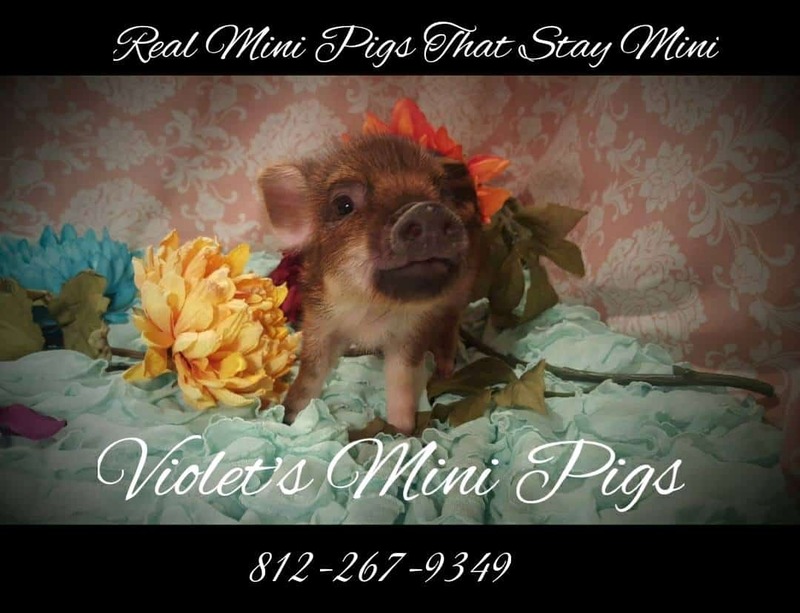 At Violet’s Mini Pig’s, we want to give you the best and most accurate description what your baby piglet will be when it is full grown. 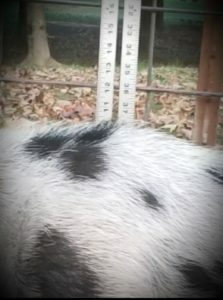 In order to do that, we make sure the parents of your piglet are done growing before we allow them to breed. 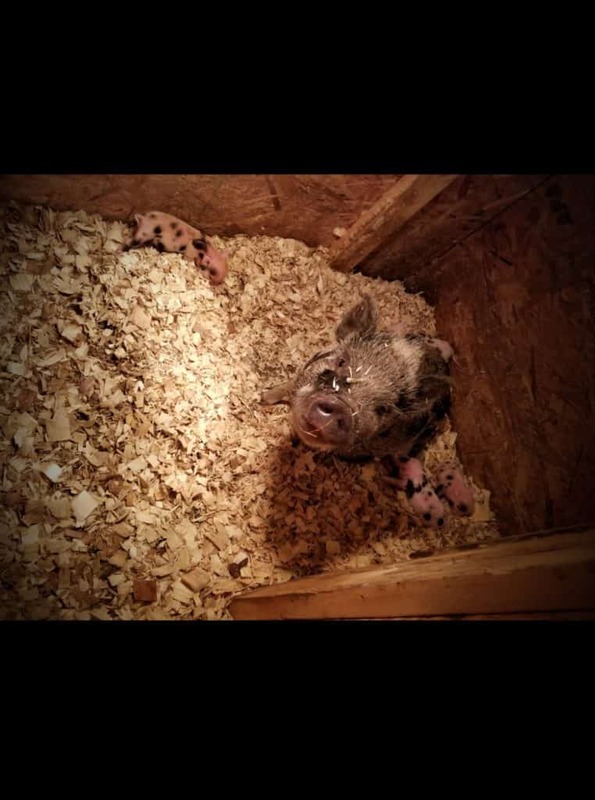 Most people, and breeders are not educated on the fact that a pig will continue to grow for years, however, pigs are capable of breeding while they are still young piglets. 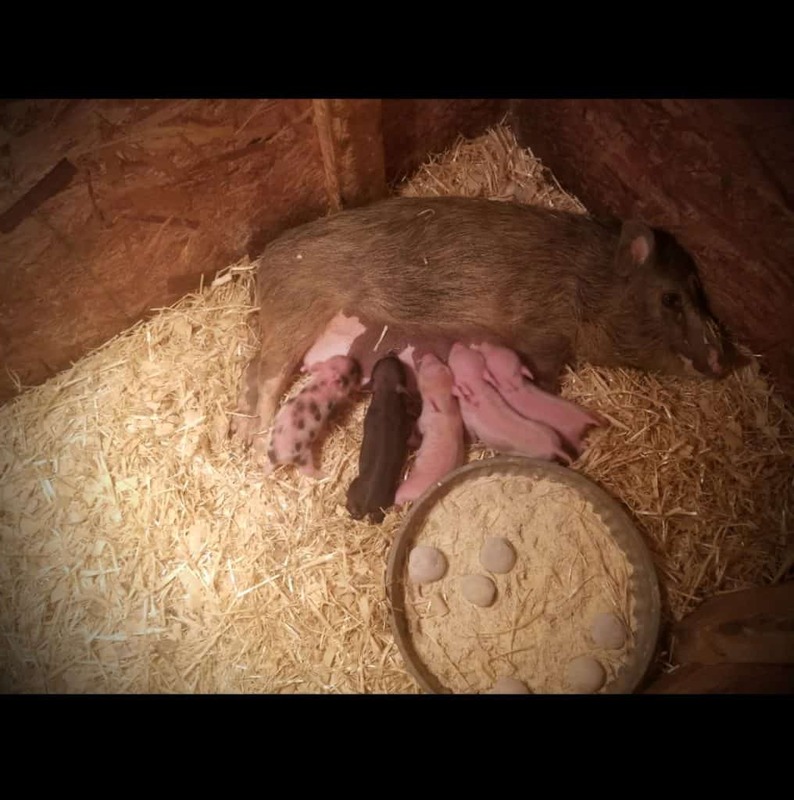 Even what some claim to be “reputable” breeders, still breed and openly admit to breeding incredibly young. 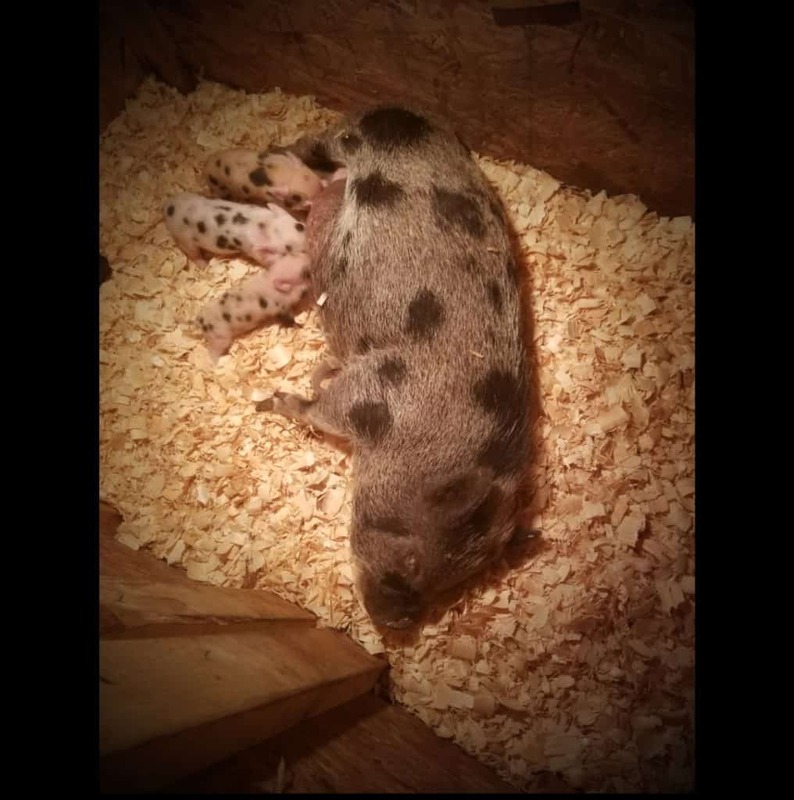 Breeding while the pig is not yet full grown not only gives you an inaccurate size of full grown, but it also STUNTS THE SIZE of the mother…. 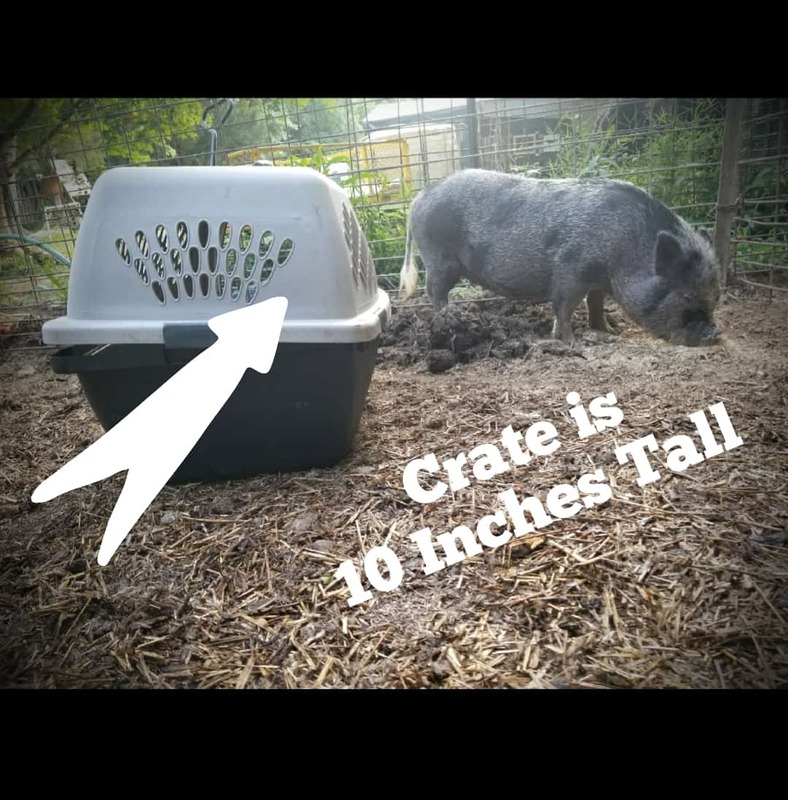 once again leading to an inaccurate size of a full grown pig. 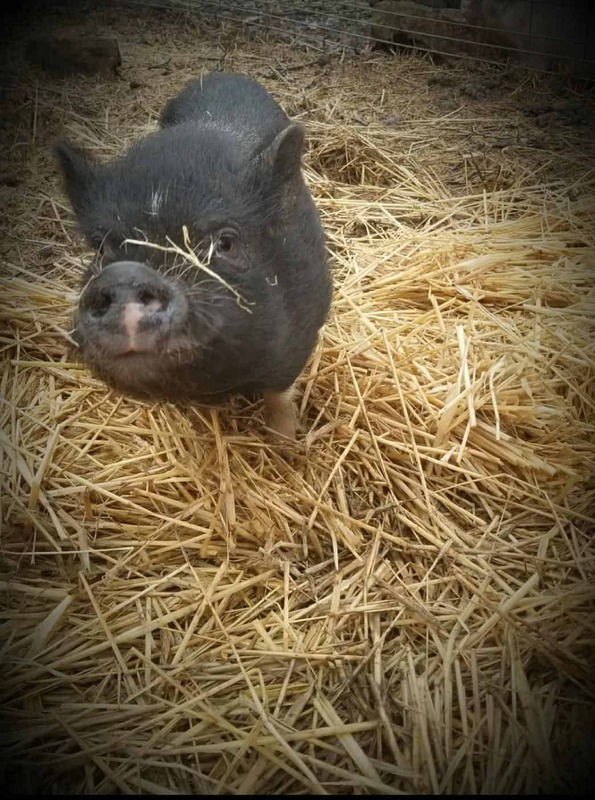 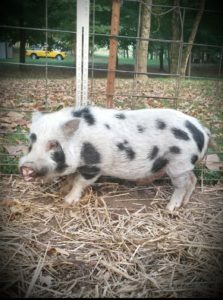 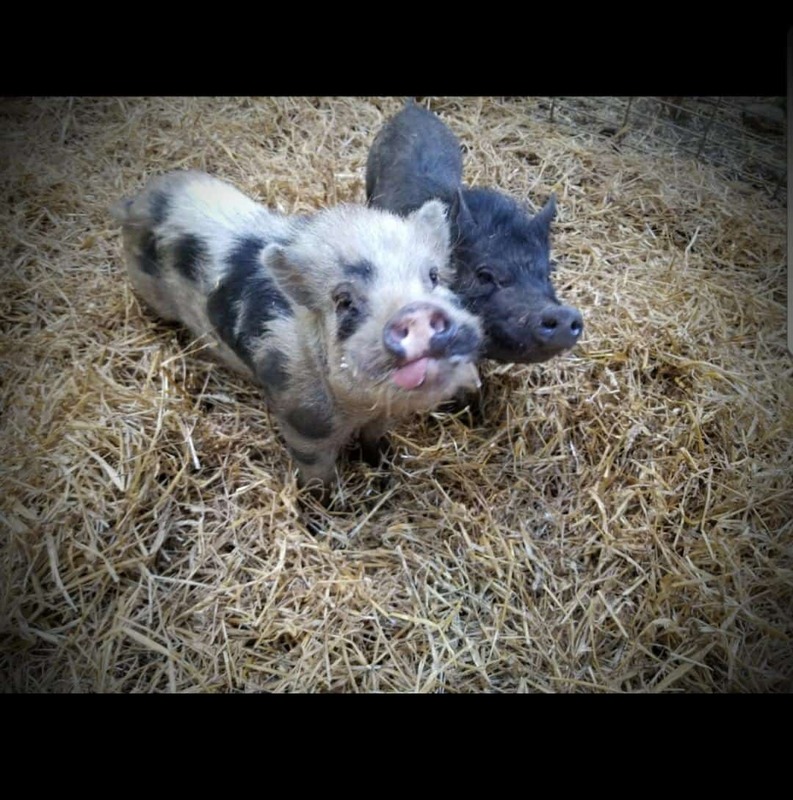 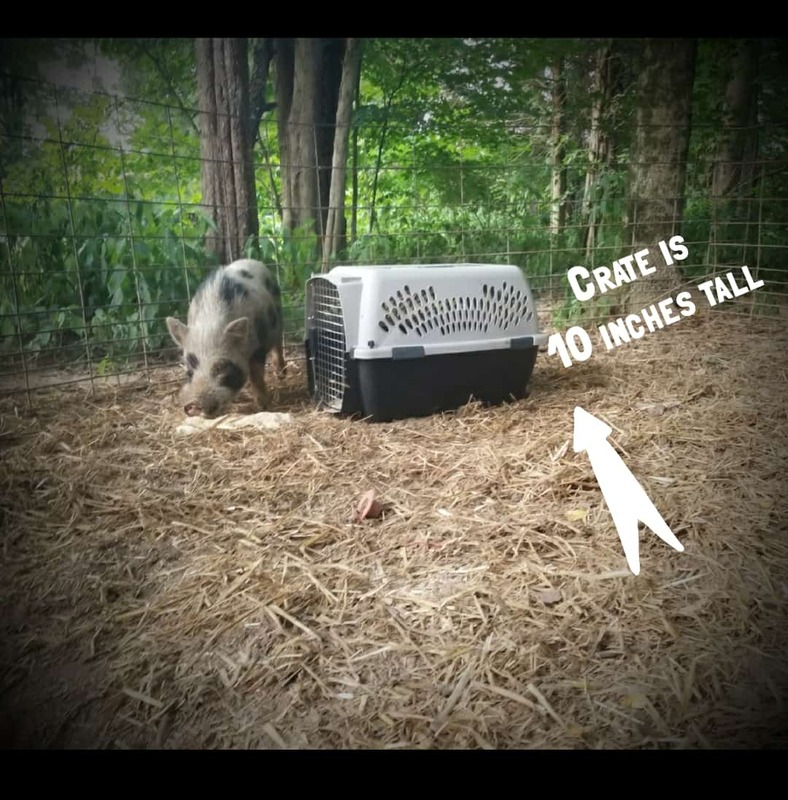 The practice of breeding while pigs are still babies is why you hear so many people say, “I had a pig that was supposed to be a mini pig, but it turned in to a farm hog.” It also adds to the ever growing problem of mini pigs being rehomed. 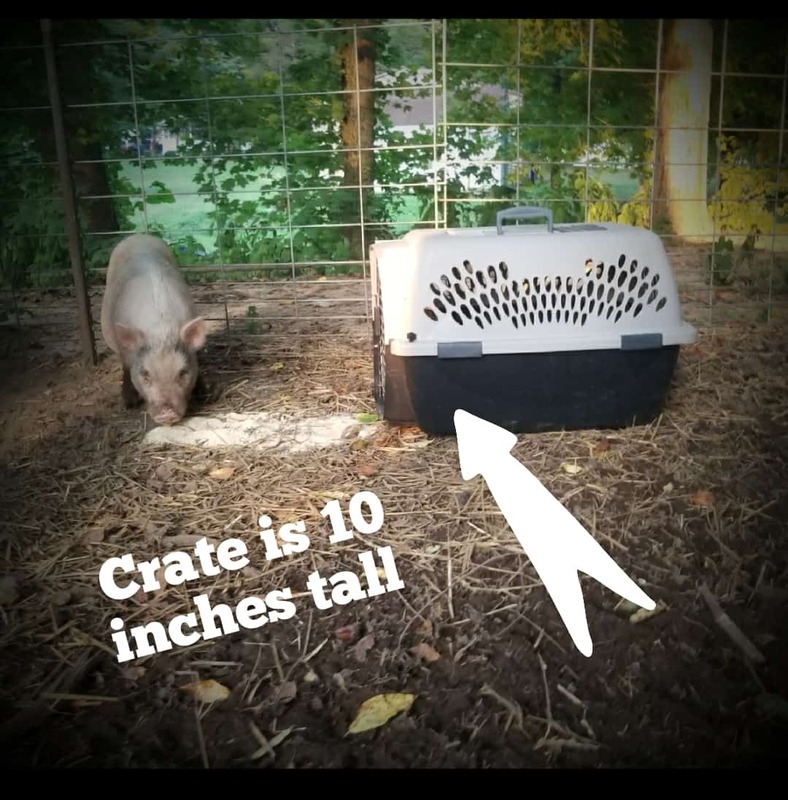 How small are our mini pig parents? 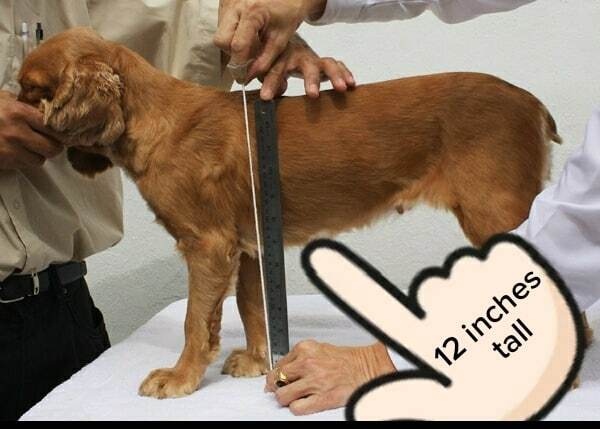 Our parents range from 10-13 inches tall. 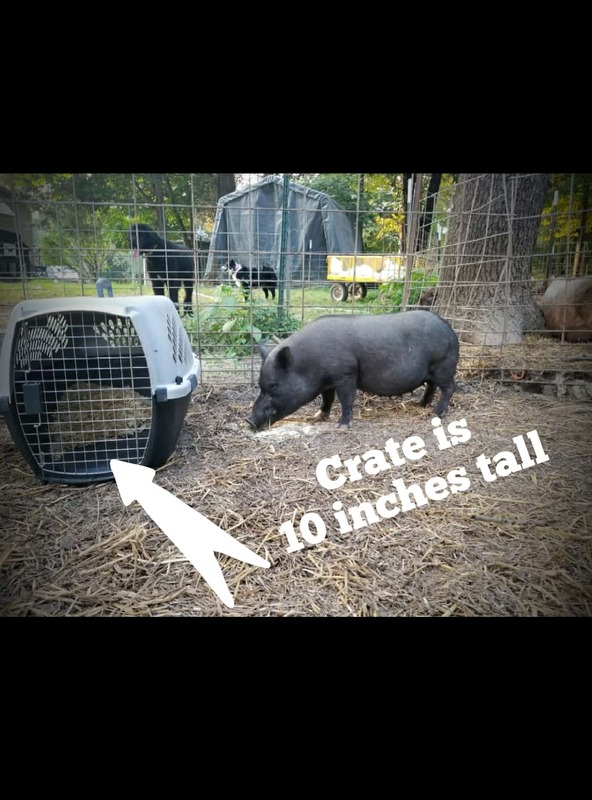 To help give you a size comparison next to our piglets, we have set a small pet carrier in every picture next to our pigs. 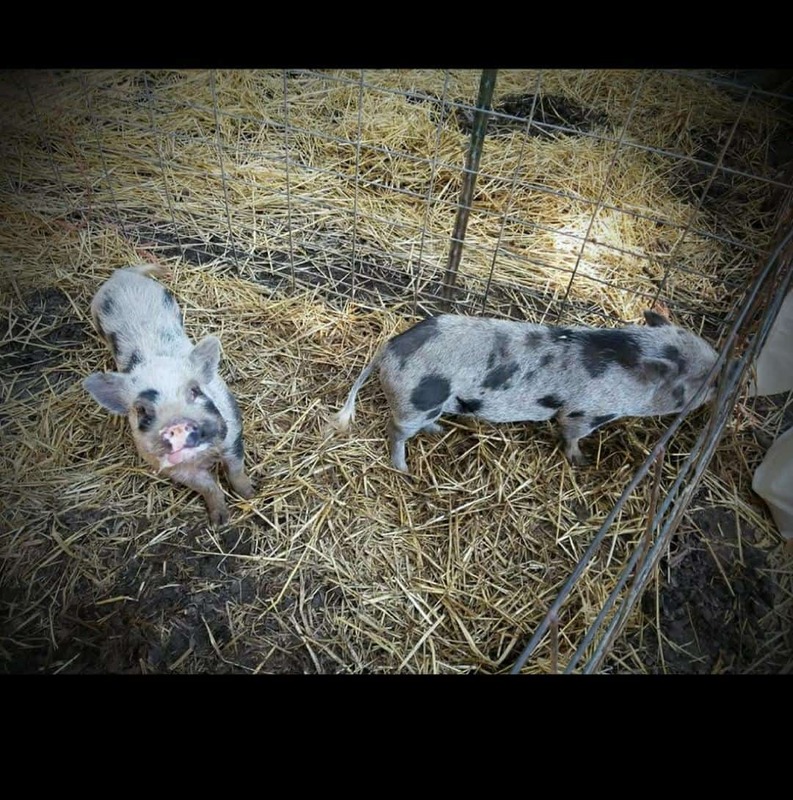 All of our breeding stock has been inspected, documented and verified by a licensed veterinarian to be full grown.